The leaves of these paludal plants that are above water are arrow-shaped, while the submerged ones take the form of thin ribbons. Take care not to push the rhizome too far into the soil: the plant can be held in place by a curved piece of wire. 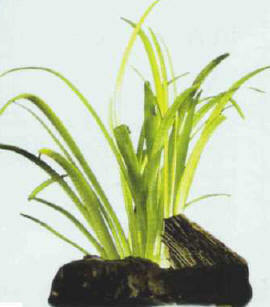 Vegetative multiplication occurs by means of seedlings formed on a runner, which can took root on their own, or with the help of the aquarist. The runner can then be cut off. There are several varieties of the narrow leaf arrowhead, which differ in the length and width of their leaves. They all prefer moderate lighting, soft or slightly hard water, and an approximately neutral pH. Size: 40 cm. 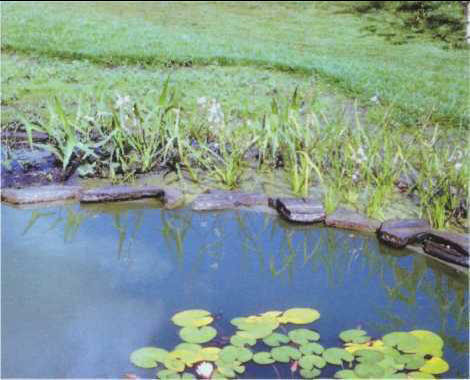 The amphibious arrowhead is quite common in calm waters in Europe, especially in garden ponds, where it resists the winters, although it prefers sunny areas. Size: 40-50 cm in water.